Proposed legislation, which passed both the Maryland state Senate and House of Delegates, would dish out free meals to students in the state who may be too embarrassed by living below the poverty level to eat free lunches in front of peers, according to an article on Maryland Reporter.com. The beauty of Senate Bill 334, the news site quoted state Sen Richard Madaleno, a Democrat from Montgomery County, as saying, is that it would be paid for by the federal government and would have no or minimal impact on the state budget. We reported in April 2013 that the federal government had revised its qualification rules for students to be eligible for free or reduced-price meals. 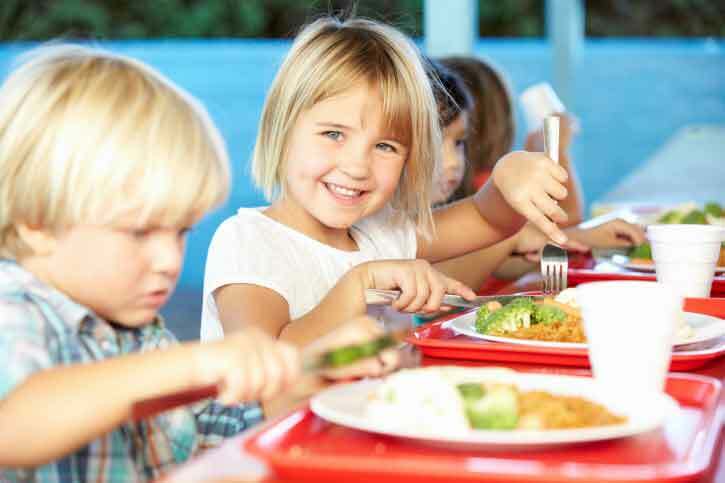 The new guidelines allow entire schools or groups of schools where more than 40 percent of students would qualify for free or reduced-price meals to skip the paperwork needed to qualify each student for the program individually. If schools sign up, all students would become eligible for free or reduced-price meals. Because the federal government fully subsidizes only 60 percent of the cost of meals at schools participating in this program, known as the Community Eligibility Provision, or CEP, there comes a point where schools would receive more money if they went ahead and qualified each student anyway. As a result, schools where more than 60 percent of the students qualify for free or reduced-price meals are more likely to require eligible students to document their individual eligibility. Documenting that a school is eligible for the CEP means more paperwork for schools, though. For the families, filling out paperwork to document their income level creates a stigma; for the schools, enrolling in the CEP just creates more paperwork and a heavier administrative burden. SB 334, which passed the Maryland House of Delegates by a unanimous vote last week and the Senate by a unanimous vote in the first week of March, and assuming Gov Larry Hogan signs it, would reduce that administrative burden on the schools and, we think, encourage more schools to participate in the CEP. All students at those schools would get free or reduced-price meals, regardless of their families’ income level. Don’t ask, don’t tell, just eat! Editor’s note: In December 2013, Voxitatis reported on a district in Payallup, Wash., that tried to use palm scanners, which linked students’ biometric data to a database that automatically deducted the right amount from their lunch accounts when they got to the cash register. Students had no need to say out loud that they were in the free or reduced-price lunch program. Although this experiment also removed the stigma of identifying oneself as poor in front of peers, since not even the lunch lady knew what students were paying, it was scrapped because of concerns over the use of data gathered from students. 1 Comment on "Feeding students in Md. schools"
Sad. The culture of government dependence continues to grow. People like Mr Meister, who assign blame before understanding the big picture, misplace that blame on either poor children, who truly are starving or at least food-insecure, or on the schools, which are responsible for providing those children with the best education possible. That good education includes ensuring those students are well nourished while they’re attending schools. Kids can’t possibly learn percentages in elementary school, balancing a checkbook in middle school, or more advanced economics or at least financial planning in high school if their bellies are empty. And when they don’t learn these lessons, the cycle of poverty—and even of mismanagement of SNAP benefits that people like Mr Meister think should be enough to provide food for these children—continues for generation after generation. It’s not the fault of the starving kids that their families don’t buy them nutritious meals. It’s not the fault of the schools. Rather, it’s possible that parents share a big part of the blame, but denying students or schools the money HB 965 stands to bring into the state from the federal government would not help the situation. Instead of blaming (incorrectly) schools or kids, it’s time for us to stand up and provide nutritious meals for students in our schools so they have a better chance of escaping the poverty into which they have been born. Only Nixon could go to China, and only someone who grew up in poverty can teach the rest of us how to fix the problem. But instead, we hear from people like Mr Meister, and the beat goes on.